• I swear that great light just follows these two lovebirds, during their engagement session the light was utterly fantastic and the same held true for their wedding as well. • Maureen is such a sweetheart, the day was seriously a breeze since her and Jeremy were so easy going and willing to go along with anything! 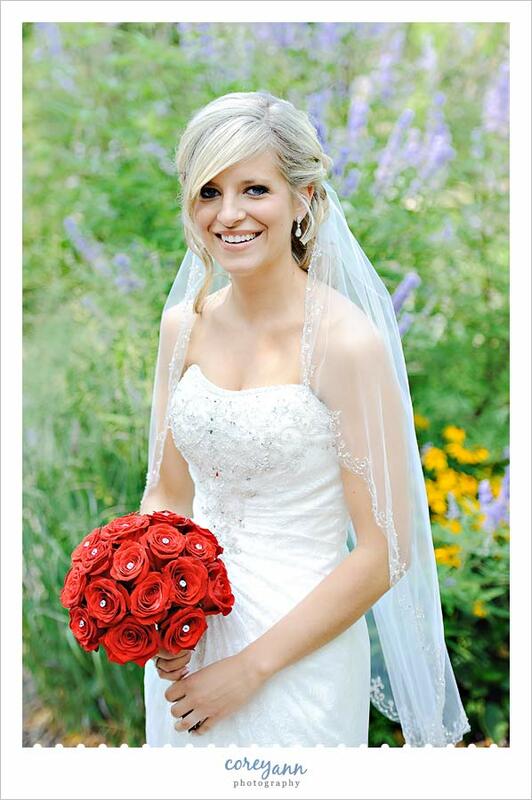 • While the florist provided the roses, the bride and her Mom made a lot of the centerpieces themselves. They were so gorgeous and I loved how they converted from the ceremony to reception and were gorgeous. • The ceremony was read off of an iPad. I think that is so freaking cool! • The dancing was fantastic and everyone was partying all night long! 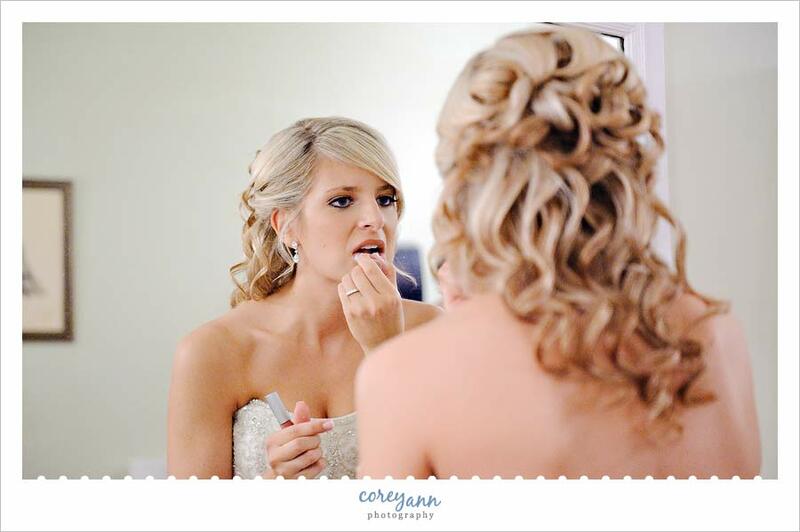 Maureen was such a beautiful bride. 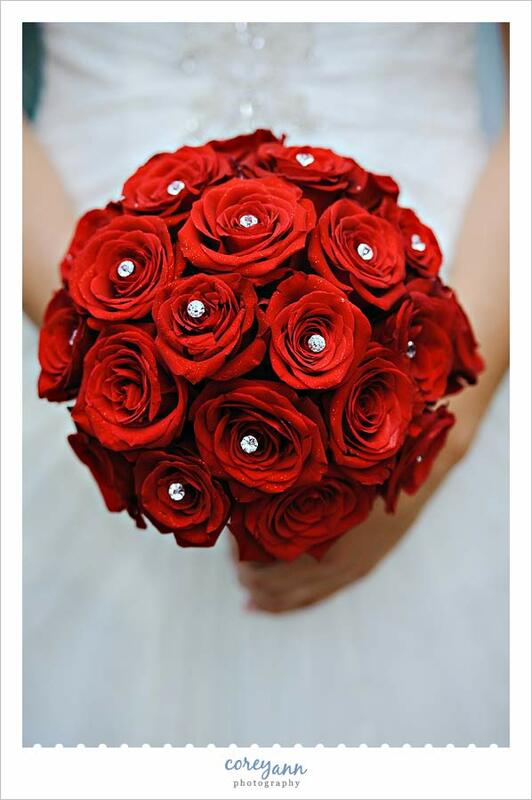 Maureens red rose bouquet was amazing! While we were outside I took some pictures of Maureen’s gorgeous ladies in their red dresses, I loved the way the sashes and flowers brought it all together. Maureen’s baby niece whom was just starting to walk was her flower girl and she was precious! This was Maureens #1 requested image! Their ceremony at Pine Ridge Country Club was stunning! I loved this kiss while they were recessing down the aisle. After the ceremony we went to Coulby Park for some pictures of the bridal party and bride and groom. Such a lovely spot! 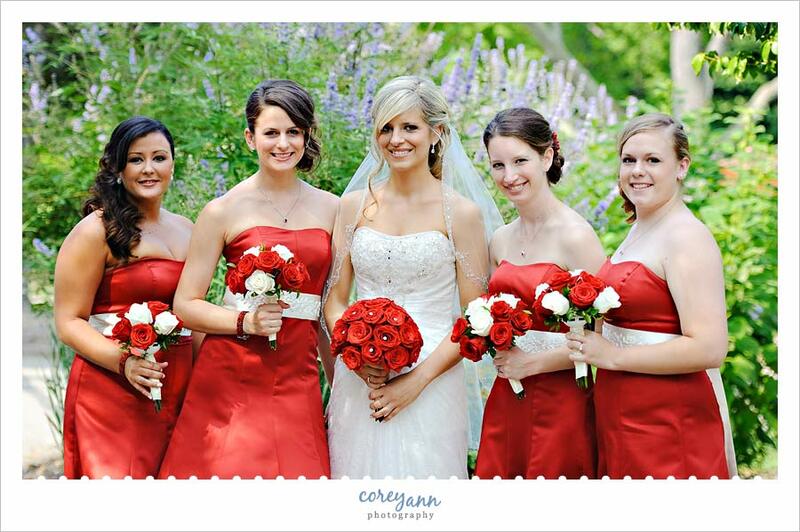 I love this image of their entire bridal party! Since I didn’t get to work with the guys earlier in the day we took their portraits at the park. I wasn’t kidding when I said the light was amazing! I loved this little nook at Coulby Park. As soon as they did the entrances Maureen and Jeremy went straight into their first dance, so lovely! After the dance they went right into the toasts and the best man started the toasts off. A view of the entire room with the lights from Selective Sound uplighting the area. This is how the night progressed…. super fun! Thanks again for hiring me, such a great day!